When there’s something exciting to report about Princess Jasmine’s in the Disney Princess line you’ll find it in this category. Often covering her appearance in Princess Magazine. As you might have heard Disney’s marketing department redid the look of their Disney Princess girls. 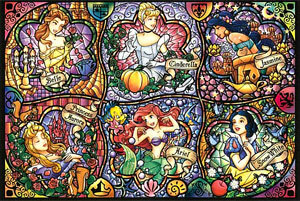 From what I understand it make them more appealing to modern little girls and to better intergrate Rapunzel into the group. Until now I hadn’t seen a good quality drawing of Jas to decide myself if her new design is an improvement or not. The LiveJournal Community d_princess has scans from the march issue of the Disney Princess Magazine and after looking at them a few times I can say Jas looks more closely to her movie version. Click the thumbnail and decide for yourself. Pointed to me by livejournal-ist mdmbrightside from the d_princess community. It sounds a bit weak but I guess that’s what you can expect when there’s the Disney Princess stam on it. I love the cover and ordered it from bol.com for that alone according to a reviewer at Amazon the other illustations have a “beautiful and Summer-y” feel on it.